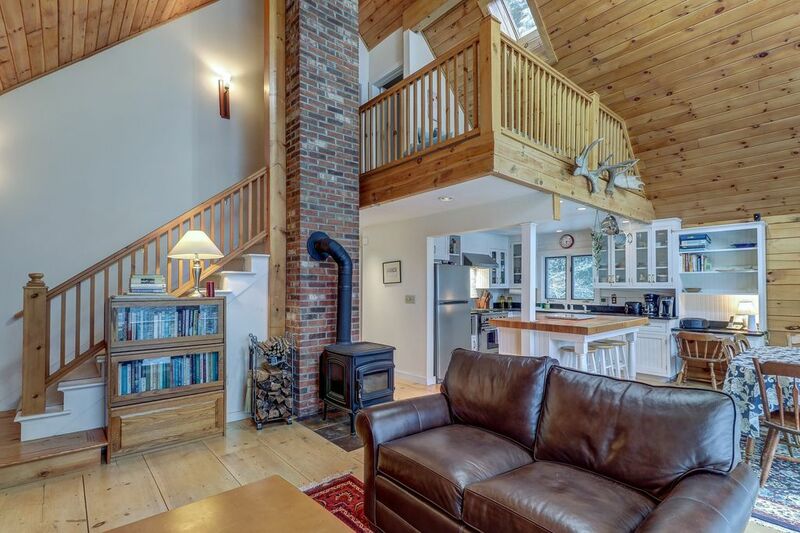 This luxury cabin offers a wonderful, classic Vermont escape for visitors in every season! Here in the Ten Bends community, you'll have a gorgeous woodland setting with a river running right through the property where you can fish or float in inner tubes. The interior living space is open, bright, and perfect for spending time with your loved ones, and the location - close to Mt. Mansfield, Waterbury, and Hyde Park - is ideal for your outdoor activity needs! This home was tailor-made for the outdoor enthusiast. In the winter months, you'll find cross-country skiing, snowshoeing, and snowmobiling right outside your door, as well as the world-class slopes of Stowe Mountain Resort 19 miles southwest. Summer is a time for hiking the ridges of Mt. Mansfield, mountain biking at Stowe, and swimming and kayaking in one of the nearby state parks. You'll also be an easy drive from several seasonal festivals, the Ben & Jerry's Factory in Waterbury, and some of Vermont's best restaurants and spas.